Well no longer! My friend Oceana and I decided one day to pick a far-away date in the calendar and scheduled a trip. Of course we got busy, so it was only a couple of days ahead that we started a flurry of messages to plan where, when, and survival needs. 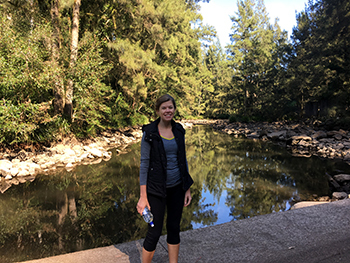 We decided a 3-hour-drive would be far enough for a one night trip, and somehow, based on that flimsiest of parameters, we settled on Barrington Tops National Park, more specifically, the private campground Ferndale Park nestled beside the Chichester River. We left early-ish on Saturday morning and arrived in the mid-afternoon after three prolonged stops on-route (1. Three Trees Cafe at North Gosford for much-needed Pablo & Rusty coffee; 2. Anaconda to fill in the gaps of our camping gear; 3. Woolies to purchase enough food for a week’s survival in the outback. Side note – while I think of myself as being very down-to-earth and au naturel, I sometimes read back on things I write and wonder….). When we arrived at Ferndale we stopped at the entrance where a friendly guy came out to greet us. Oceana had already emailed to let them know we were coming (they only take bookings on public holidays), but he was surprised to see us arrive so late for a one-night-only visit. We explained our mini-adventure and he good-naturedly took our camp fees and then hopped on top of his wood pile to fill a bag for us for $15. 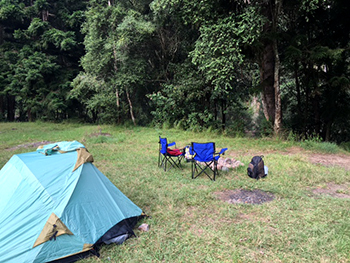 The great first-in-first-served policy meant we were able to choose our own campsite across the 150 hectare property. 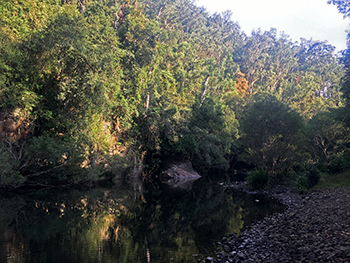 There are more rustic spots on the other side of the river, but as the park was pretty quiet that weekend we opted to stay in the main campsite area which is situated along the river within sight of the amenities block. There were about 8 or so other groups in the main campsite area too with a mix of tents and caravans, but we had plenty of space to pick our location looking right at the river and with a feeling of privacy. 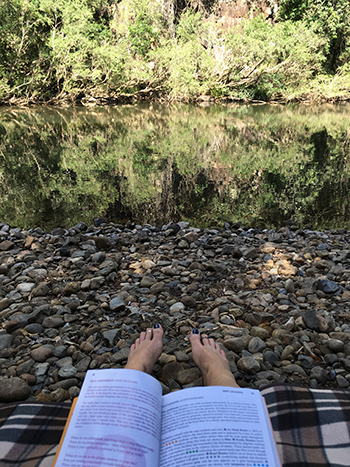 We spent the rest of the afternoon wandering around the park, waded in the cold river, sat on the pebbly-bank and read our books. It was so tranquil and relaxed, the sounds of the Aussie bush at sunset was just magic. 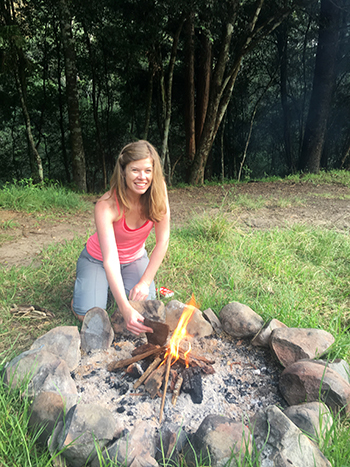 There are stone-rimmed fire circles scattered around the sites so even with our newbie abilities, and armed with fire-lighters and newspaper, we were able to get our fire roaring shortly after setting up camp. 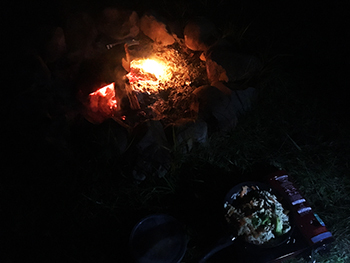 Our fire kept us cosy warm as we cooked up a fabulous veggie tofu stirfy on our borrowed gas stove. 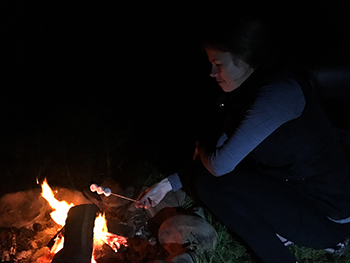 Then the marshmallows came out, which we toasted on sticks and stuck between digestive biscuits, all gooey and crunchy. We sipped peppermint tea and chatted, falling silent to listen to the cackle of the fire and the cicadas humming in the background. 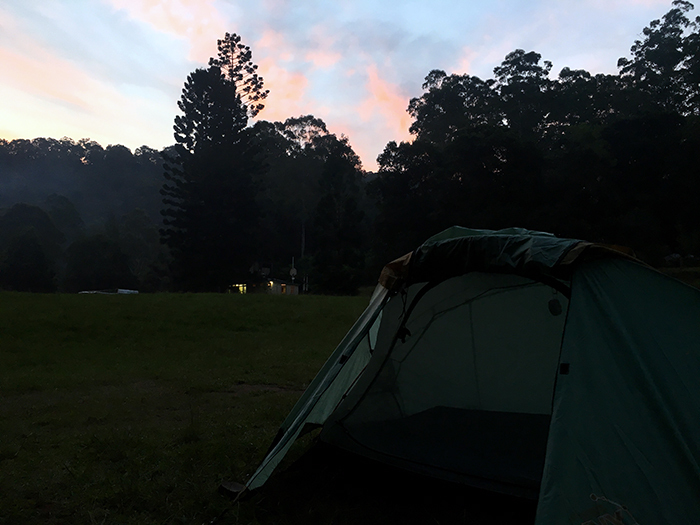 After a cosy night in our tent, I woke to the sound of the bell birds. 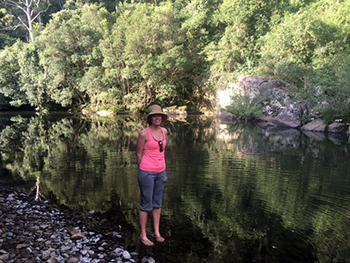 I quietly slipped out of the tent and sat by the river to enjoy the morning energy wash over me, the cool crisp air and running water of the river was absolute bliss. I stoked up a fire and had our kettle boiling by the time Oceania joined me. 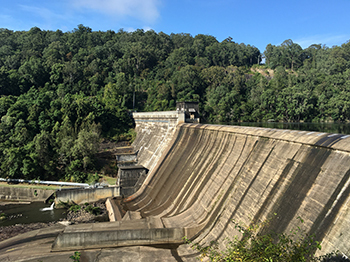 After our tea we went for a walk from the property up to Chichester Dam which was an impressive sight. We meandered along a path and took some forks in the road to explore the area, we had no map but probably covered about 6 kilometres by the time we walked back to camp. 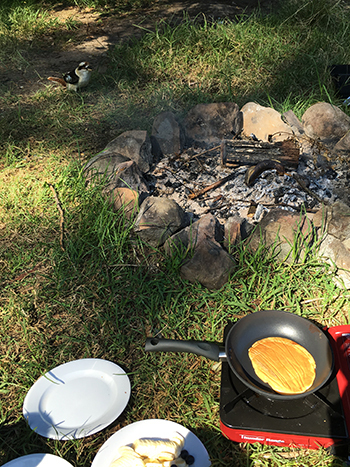 We made banana pancakes for brekkie under the watchful eye of some hungry Kookaburras. 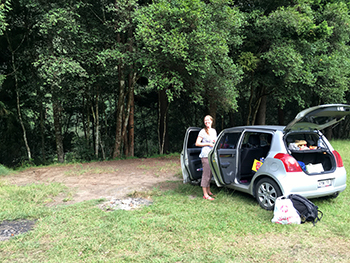 We leisurely packed up, ate our lunch sitting on the river bed and then got back in the car for the drive back to Sydney. 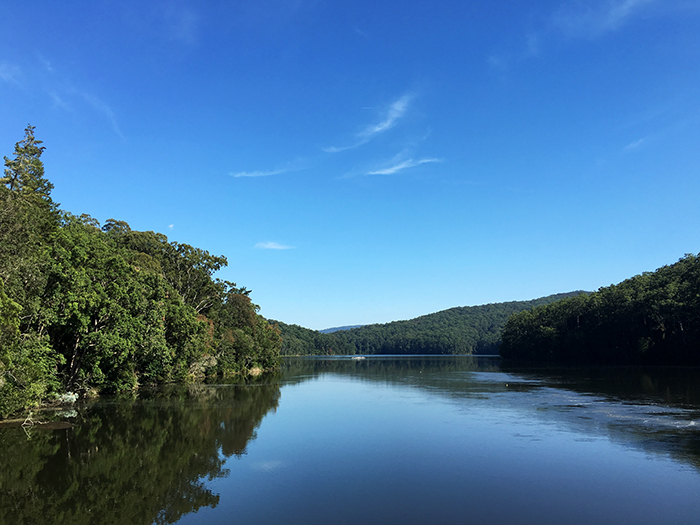 Yes it was short and sweet for a weekend escape, but we had a great time and enjoyed our planning and preparation just as much as our time spent in the forest – though next time I will stay longer for sure!